Wendy Froberg’s A Woman of a Certain Age runs as part of the 2015 Calgary Fringe Festival. For playwright/actor Wendy Froberg, age is just not a number, especially not for women. The more a woman ages, Froberg argues, the more she becomes flawed in the eyes of society. Seldom are women allowed to grow old without their self-worth being diminished in the process. 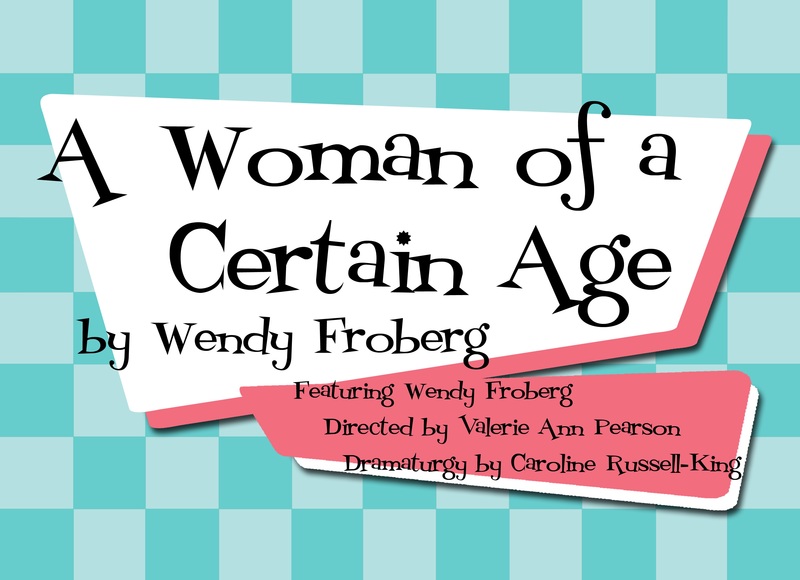 Presented by Archetype Productions, Froberg’s one-woman show A Woman of a Certain Age chronicles the lives of six mature women as they deal with their families, marriages, and careers. The play’s central character is Gwen Randall, a mother of two who is caught shoplifting at the local mall. The criminal act has seemingly come out of nowhere considering Gwen is an upstanding member of the community with a good career. All eventually comes to light as we learn more about Gwen’s hidden troubles at home and with her widowed mother who has dementia. Around Gwen there are other women, too, trying to cope with aging, specifically the loss of status. Gwen’s mother, who lives in a nursing home, feels a loss of self now that her children are grown up with lives of their own, and her husband has passed on. No longer a mother, no longer a wife, what defines Gwen’s mother in her old age? Froberg proposes that older women are defined by their appearance. Like Gwen’s mother, once women reach a certain age, they are largely ignored, that is unless they have aged well. But what does that mean, to age well? Here, Froberg defines aging well as not just being (normatively) capable both physically and mentally, but also being free of any signs that mark old age. Although, as she points out, women and men are not held to the same standards. Men grow old without worry, while women are pressured to be wrinkle-free. Froberg’s commentary is derailed drastically by the analogy Gwen’s European Esthetician draws between North America’s “War on the Face” and World War II. The second World War, the Esthetician believes, instilled (all?) Europeans with socially progressive attitudes towards aging and beauty. Having never experienced any such trauma, North Americans are, therefore, incapable of recognizing inner beauty. (REAL blemishes are caused by artillery explosions). The whole scene is perplexing, and Froberg’s poor attempt at a “European” accent does little to help. What else might confuse audiences are Froberg’s messy character transitions. Froberg is not up to task on presenting six, distinct characters. In fact, she may simply be working with more characters than necessary. Some of the other character storylines, like Gwen’s sister who has a son with special needs, wander aimlessly until the end where Froberg rushes to close them with a nice feel-good ribbon. The result is a play that know what it wants to say, but then tries to fit in as much else as it can, making for a very obvious one-hour run time. Overall, Froberg’s A Woman of a Certain Age speaks hard truths about women, aging, and beauty, but not without some major bumps along the way. Presented by Archetype Productions, Wendy Froberg’s A Woman of a Certain Age runs July 31 – August 8th as part of the 2015 Calgary Fringe Festival.